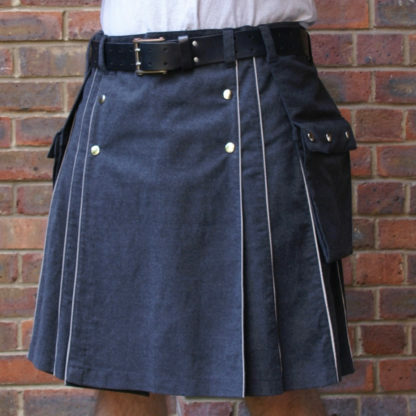 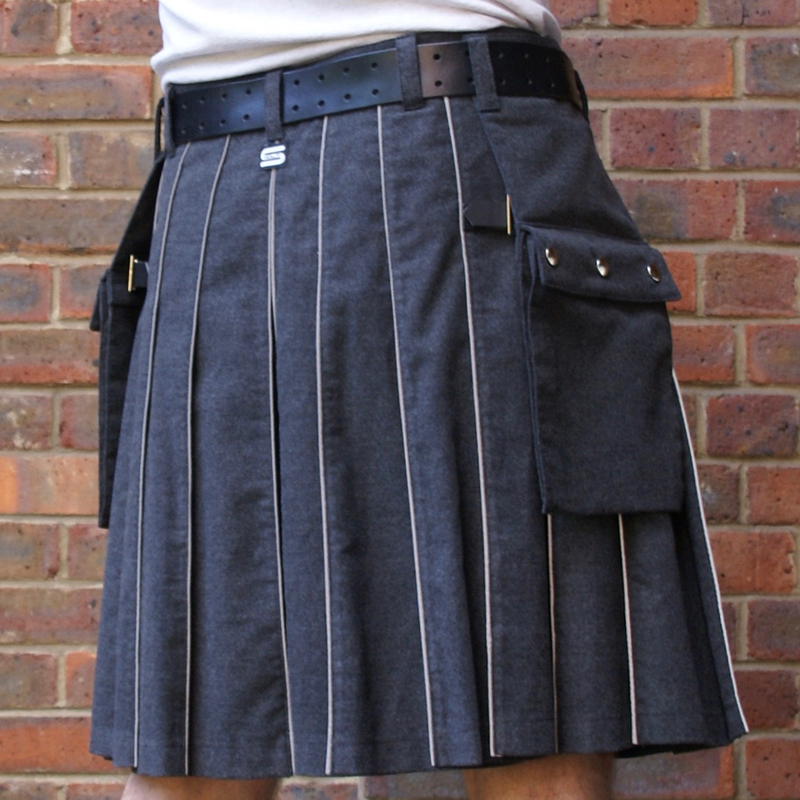 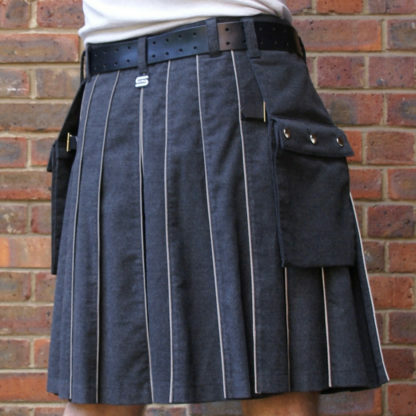 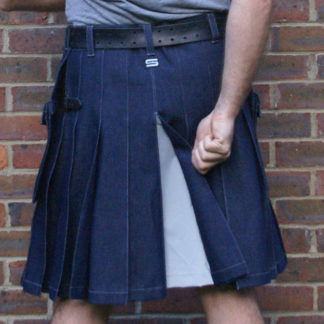 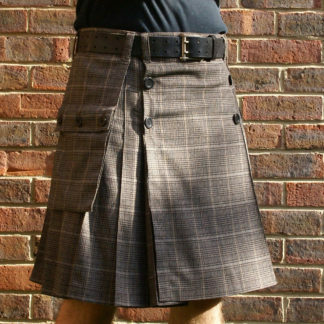 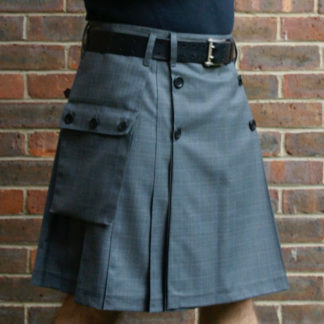 In the daytime this just looks like a subtle grey kilt in thick, soft poly viscose ‘washable wool / melton’ fabric. But shine a light and 11.5m of reflective stripes pop out. 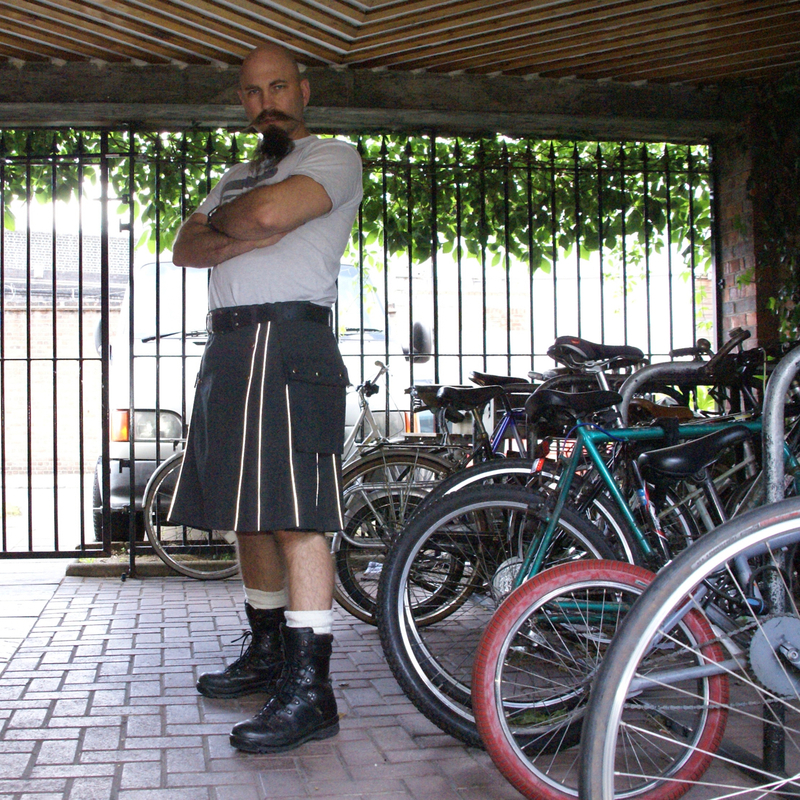 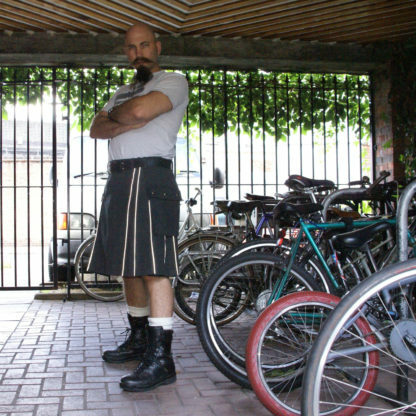 Perfect for cycling or clubbing. 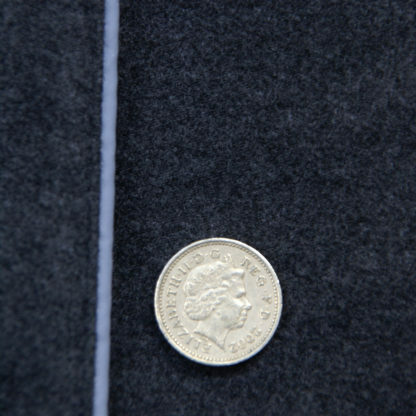 Our current washable melton fabric is a shade lighter than the one in the photos.